In this last and final segment of Surah al-Nisa’, Imam Muhammad al-‘Asi explains the meanings of ayat 87–176 and the context in which they were revealed. In his inimitable style, he not only explains the historical background but also guides the reader to their application in today’s world. Since the Qur’an is Allah’s (SWT) eternal Word, and relevant for all times, its message must be related to the contemporary historical situation so that committed Muslims can apply it in their lives. O you who are securely committed [to Allah]! Be ever vigorous in standing up for equity, bearing witness to the truth for the sake of Allah, even though it be against your own selves or your parents or kinsfolk. Whether the party concerned be rich or poor, Allah’s claim takes precedence over [the claims of] either of them (4:135). One overriding feature in society that affects the dissemination of justice at the generic as well as institutional levels is the performance of leaders, especially those who are designated by the people to make decisions on their behalf. It is a sad reality of majority Muslim societies that the administration of justice by those in power positions is far removed from the teachings of the noble Book and the standards demonstrated by the noble Messenger (SAW). There is one law (or no law) for the rich and another for the poor, the latter category suffering the brunt of its application while the rich and powerful remaining all the while largely immune regardless of the scale or degree of injustices they perpetrate. Such injustices naturally lead to conflict in society and ultimately to its decline and disintegration. Before proceeding further, it is important to bear in mind that a proper understanding of the divine message is only possible if we take into account the context in which the ayat were revealed. Most, though not all long surahs of the Qur’an, were revealed in Madinah where the noble Messenger (SAW) and his companions were forced to migrate after suffering 13 years of relentless persecution at the hands of the mushrik power elite in Makkah. Throughout the Makkan period, the divine message focused primarily on the issue of tawhid (Oneness of Allah – SWT), confirmation and reaffirmation of Muhammad as the Messenger of Allah (SAW), and the Day of Reckoning after human beings leave this dunya (worldly life). In Madinah, injunctions regarding family, community, social, political, and economic life were revealed. The nascent Muslim community had to deal with real-life issues and Allah (SWT) provided guidance in the form of revelations at appropriate times. Surah al-Nisa’ was revealed between the third and fifth years of the Hijrah. From the Sirah of the noble Messenger (SAW) we know that this period coincided with the Battles of Uhud (3AH) and al- Ahzab (5AH). In Uhud, after initial success, the Muslims suffered a serious setback including the martyrdom of some 70 companions of the noble Messenger (SAW), not the least of which was his uncle and close friend, Hamzah ibn ‘Abd al-Muttalib. On the way to Uhud, nearly 300 would-be soldiers led by ‘Abdullah ibn Ubayy ibn Sallul, the uber-munafiq, deserted the Muslim forces. This left only 700 companions with the noble Messenger (SAW) to confront the Makkan mushrik army of 3,000 heavily armed men. The committed Muslims were prepared to face even this challenge and initially scored victories against the Makkan mushriks but the tide of battle turned when the Makkan cavalry was able to take advantage of an aberrational bout the Muslims had not with the enemy but with their own consummate commitment to Allah (SWT). The opening for this attack was provided when the archers, strategically placed by the noble Messenger (SAW) on a hill to ward off a cavalry charge against the vulnerable rearward flank of the Muslims, deserted their posts, thinking they would not get a share of the spoils of war acquired by the advancing Muslims. Of the 50 archers, only 10 or 12 remained true to their responsibility as commanded by the noble Messenger (SAW). They were easily overpowered and martyred by the fast-moving Makkan cavalry, led by Khalid ibn al-Walid, which then forced the besieged Muslims to fight a two-front battle, wherein decisive victory ultimately eluded them. Unfortunately Sirah literature does not provide the names of the vast majority of ‘Abdullah ibn Ubayy’s 300 confederates, who turned their backs on the noble Messenger (SAW) at that critical juncture. The munafiq elements in society, however, exposed their own hand. The emergence of nifaq is tied to the establishment of the Islamic state. These fifth columnists, unable to openly challenge the power of the Islamic State, pretend to be Muslims but are in reality in alliance with the forces of kufr. Working in tandem with the kafirs, the munafiqs damage the expansion of social justice while moving about within the ranks of Muslims to undermine their morale. It is noteworthy that there were no munafiqs in Makkah during the 13 years the noble Messenger (SAW) spent propagating the message because Islam did not have power at the time. Instead, the oppressive power structure of Makkah forced some Muslims to hide their iman. In Madinah, however, when Islam began to emerge as the dominant state power, the munafiqs could no longer challenge it openly, and thus they pretended to be Muslims even as their loyalties were with the mushriks. The divine light was focused on their behavior in the early part of Surah al-Baqarah(ayat 8–20, for instance) as well as in other surahs of the noble Qur’an such as Surahs al-Tawbah, al-Nur and al-Munafiqun. This surah reveals two types of munafiqs: those who lived in Madinah among Muslims and others who resided in Makkah or elsewhere. The outsiders pretended to be Muslims when they came to Madinah but upon return they would join the fraternity of mushriks. From the Sirah of the noble Messenger (SAW) we learn that he did not take any punitive action against the munafiqs even though they were well known in society — that is, until they publicly demonstrated their dual-loyalty against the Islamic social order by undermining it or by sedition inimical to the executive command authority of the Prophet (SAW). When the munafiqs established Masjid al-Zirar while the Prophet (SAW) and his companions were away on the military expedition to Tabuk, the returning Muslims and the Prophet (SAW) at their helm were commanded to destroy the brick-and-mortar symbol of nifaq, a potential base of fitnah in Madinah (for details, see Surah al-Tawbah, ayat 107–110). 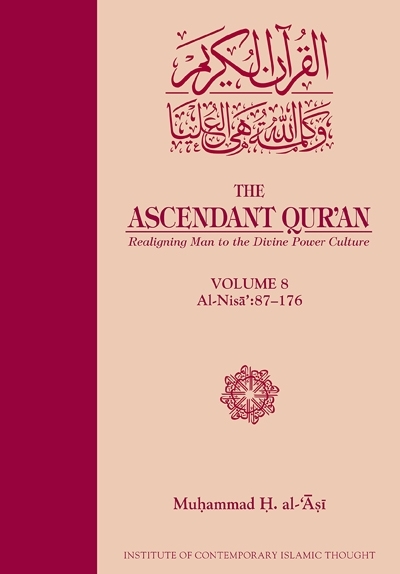 The last segment of Surah al-Nisa’ also deals with examples of people of previous scripture and their experience with fanaticism and dual-loyalty, especially the Yahudi penchant for discrimination between the uniform message given to all the previous Prophets (AS), and how this affects the performance of just leaders. Even while aware that Muhammad (SAW) was the last and final Messenger as foretold in their own books, Yahudi racism and self-proclaimed exclusivism prevented the larger flock of everyday Jews from accepting the final dispensation he brought to humanity. They insisted that prophethood was the exclusive entitlement of Banu Isra’il and no one else. While clinging to this racist notion, they, blinded by their overweening sense of entitlement, had the temerity to exile, or worse yet, murder a number of their own prophets, among them Zakariya and Yahya (AS). Unfortunately, some Muslims have also adopted this exclusivist, racist view of themselves as well as of scripture. They use a hadith erroneously attributed to Allah’s Messenger (SAW) that says there will be 72 or 73 factions among Muslims but only one will enter Paradise (or only one will be on the right path). Every pattern of “Muslim” exceptionalism, thinking it does not belong to the history of scripture, automatically assumes that it alone is on the right path and that all others will go to Hell, à la the experience of Ahl al-Kitab. Some even go so far as to take it upon themselves to “dispatch” these “others” to Hell. The chaos that has engulfed some parts of the Muslim world is the direct result of this mindset. Closely related to this is the view that a particular sect of Muslims is the “best” and that its followers are sufficiently favored by God so that they need not learn from the mistakes of those who were engaged with scripture in the past. When the Qur’an talks about the error or deviation of people of previous scripture and the punishment that befell them, implicit in this message is the warning that Muslims too would face divine retribution if they adopt a non-inclusivist attitude to Allah’s (SWT) messages and historical reminders. Allah (SWT) has no favorites; people will be judged on the basis of their actions as well as intentions. In the Qur’an, the expression al-ladhina amanu (the securely committed Muslims) is often followed by wa-‘amilu al-salihat (those who validate their secure commitment with appropriate deeds). In pursuit of establishing the Islamic state — the natural habitat of Muslims — the committed Muslims may be required to undertake a hijrah from their place of birth to an unfamiliar land. Once the Islamic state is established it must be secured with all means available including combat preparations, preferably on par with the enemy. Hijrah and jihad are in fact interrelated. Often, hijrah arouses the aggressive tendencies of the enemies of Islam in even more virulent form. They wage war against Muslims with a view to eliminating the Islamic state before it consolidates its power position in society. This is what the early Muslims led by the noble Messenger (SAW) experienced once they migrated to Madinah. They achieved victories and suffered setbacks but since they were steadfast in their commitment to Allah (SWT), they gradually became mature enough to realize that the lessons learned from defeat were the platform upon which ultimate success would finally rest. Just as in the past, Muslims today will have to go through a similar trial-by-fire experience in their quest to establish the Islamic social, political, and economic order. There are no shortcuts in this struggle as this divine Writ shows. Extremist tendencies in the past and present have caused people to break up into exclusionary domains protected by standing armies, thus compromising the training and preparation of qualified people to do the job of adjudicating, maintaining, and expanding social justice in society. Unlike the God-denying modernity — presented as Western civilization — there is an Islamic order of things defined by enlightenment and teachings of scripture that originate from Allah (SWT). A thousand years before Western civilization assumed its international “duties,” Islam was the modulator of social and human relations. This was done as a matter of obeying Allah (SWT), and not because Muslims found themselves reacting to other power centers or adjusting to a balance-of-power equation. Muslims at that time were initiators of social action, social change, and social progress. The Muslims developed a social consciousness of the political forces and special interests that were at work around them and even within them. This Islamic social consciousness, which derives from understanding the Qur’an and is therefore centered around the pillar of justice, is what propelled the Muslims to lead the way and shape the future. A world full of injustice populated by rival powers that were only interested in theoretically accepting the principles of justice did not deter these pioneering Muslims; what they were concerned with is the practical pursuit of justice in all the societies they went to. There is a body of information interspersed throughout this guiding Book that shows humanity the way through its most challenging problems — problems and issues pertaining to war, truce, alliances, neutrality, and peace. In this series of ayat, the Muslim disposition of preferring peace to war is put on display: the responsible Muslims are counseled to deal equitably with those non-Muslims who have entered into a treaty affiliation with the Islamic state. The ayat also stress that non-Muslims of neutrality should not be harmed and if they offer “peace,” it should not be rejected simply because they are non- Muslims. The contrast with the attitude toward munafiqs is striking. While they should be kept under watch and Muslims are called upon to be on guard against them, physical retribution is only commanded if they act against the social justice imperatives of the Islamic state or cause sedition in society. As in many other surahs of the noble Qur’an, this surah also deals with the issue of shirk — assembling rivals to or competitors with Allah’s (SWT) divinity (omnipotence) and authority (lawmaking). Often, under the influence of certain vested interests, self-proclaimed “Islamic” gatekeepers have dumbed down the meaning of shirk to the condemnation of those millions who are forced into grave sites and mausoleums to “find” God while giving a pass to those millionaires who prevent God from being found in the halls of justice. This means that the serious, more grave forms of shirk are ignored. These latter forms are on exhibit as the naming of holy precincts after families or putting in abeyance the laws of Allah (SWT) by giving preference to tribal customs and ‘Asabiyahs. Even a more serious form of shirk is their subservience to the power of kufr as represented today by imperialism and Zionism. It must be remembered that only Allah (SWT) is the Lawgiver; man as His vicegerent and representative on earth is the law-observer. Man’s authority is limited to interpreting and implementing the laws of Allah (SWT), not overriding them (if that was even possible in any kind of lasting sense). One final point is in order. Throughout these tafsir volumes, the aim has been to provide discerning Muslims a proper understanding of the Qur’an so that they can shape their behavior in accordance with Allah’s (SWT) guidance. This is especially crucial for emerging leaders of the Islamic movement who are expected to contribute to the emergence of a consolidated Islamic state. They are the ones who will be tasked with organizing societies on the basis of justice and equity. No feature of human society impacts the dissemination, adjudication, and maintenance of social justice more than the performance of competent leaders. A faulty understanding of the divine Book has led in the past to many unfortunate developments and will no doubt do so in the future as well. Muslims, especially those in leadership positions, have to be properly grounded in the divine message in order to regenerate the Islamic civilization that was so tragically subverted soon after the period of al-Khilafahal-Rashidah. The challenges that lie ahead are not small, but struggle in the Islamic movement and establishing the Islamic state was never an easy task. The challenges the noble Messenger (SAW) faced were far greater and more severe than what the Muslims of today face. Just as the noble Messenger (SAW) turned the jahil people of Arabia into the finest human beings through a proper understanding of the Qur’an and his own exemplary character, the current generation of Muslims will be able to reproduce those results if they follow the same process. This tafsir series is part of that effort. Imam al-‘Asi’s explanations of the ayat of the Qur’an have been ably edited by Br. Afeef Khan to make them more accessible to the average reader. Detailed endnotes have been provided to enable the more scholarly to satiate their thirst for knowledge and to pursue their research activities with ease. Many thanks are also due to the efforts of Br. Imran Khan in providing timely and expeditious proofreading of the many pages in this volume. We pray to Allah (SWT) to accept this humble effort from us and to make it a source of guidance and understanding so that Muslims can return to the noble Book of Allah (SWT) in the way it was intended. We recognize that the task we have undertaken is difficult, indeed monumental. The road ahead is full of hazards but we have set out with sincere intentions and a firm conviction, and are thereby confident that Allah (SWT) in His infinite mercy will provide the means to enable us to take it to fruition. We thank the many readers who have given and continue to give input regarding this tafsir. Similarly, we thank all those who have helped in whatever way possible to make this project possible. Their reward is with Allah (SWT). May He, the Most Merciful Lord and Sustainer, multiply their contributions many times over. Amin.